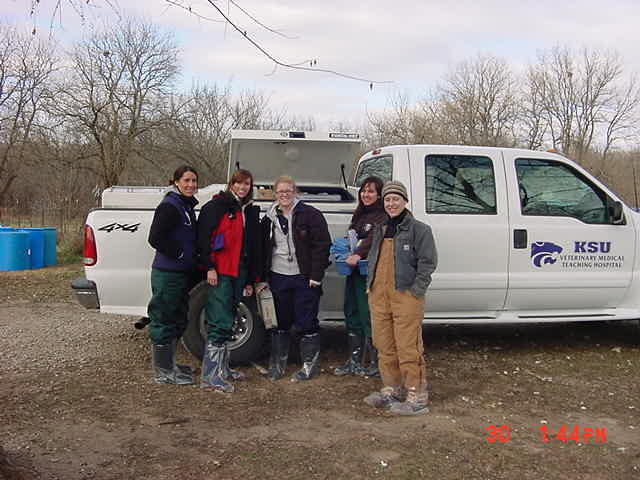 On Tuesday, November 30, 2010, Professor Shelie L. Laflin, and a class of graduating seniors, from the College of Veterinary Medicine, Kansas State University were here and sonogrammed our doe herd. All were declared settled and each was about where we expected them to be in their pregnancy. It was a pleasure watching professionals at work and we are grateful for their service. We still have some 2011 spring kid reservations available. You can visit our web site and view our sales page and our does and herd sires as well as their pedigrees. Kidding begins in about 6 weeks and runs through April! 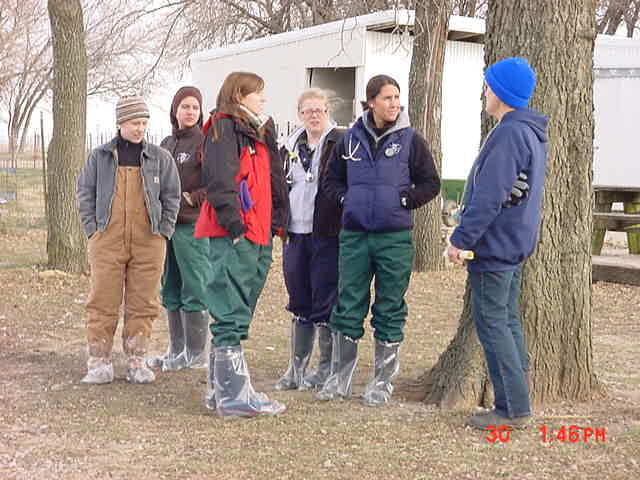 *Our herd is blood tested CAE Free for 20 consecutive years. *Herd is G6S Normal by DNA or parentage. *We are on continuous official standard milk test. *Two does on ADGA Top Ten.